Wine appreciation is, at its most basic, an individual thing. What I think about one particular wine may not be in snyc with what you think. That’s fine – we can agree to disagree. Yet along the way when wine lovers turn to someone for guidance, they want an accurate account of what certain wines have to offer. Again, you may disagree with one particular review, but for the big picture, you want the reality of the situation. The December 15th issue of The Wine Spectator offers more evidence that James Suckling, who covers the Italian wine scene for the magazine, cannot be trusted to offer an accurate representation of that country’s wine industry. This is nothing earth shattering, as Suckling has come up with some very strange accounts of Italian wines (more on that later), so this is just the latest in a string of faulty reports. But given the importance of this publication in many people’s eyes, it is worth reporting on. This issue has Suckling’s take on the recently released bottlings of Barolo from the 2005 vintage. Basically, he has written that he slightly prefers this vintage to 2004. This may come as a shock to many who have had the experience of tasting a number of examples from each vintage. I am fortunate enough to taste more than 125 Barolos from every new vintage when the wines are presented for the worldwide press at the Alba Wines Exhibition, held in Alba each May, so I believe I am qualified to discuss this issue. This year the 2005 Barolos were presented and overall, I thought the vintage was quite good, if a little uneven. As with every year, there are outstanding bottlings (Bartolo Mascarello, Francesco Rinaldi “Brunate”, e.g. ), but there are not the sheer numbers of memorable wines as there were from 2004. That vintage was a classic, with excellent depth of fruit, beautifully defined structure and stunning aromatics. Many of the top bottlings of Barolo from 2004 can age for 20-25 years, in my opinion, while there are a few great bottlings that will peak at 35-40 years. Comparing 2005, I think it is a very good vintage, as the wines have good depth of fruit and very good acidity. These are wines for the most part that will peak at 12-15 years after the vintage- a typical assessment on my part. Thus I’d give the 2005 vintage a rating of 3 stars (very good) while I awarded the 2004 vintage a rating of 5 stars or outstanding. Others agree with me; one fellow journalist attending this event told me that the 2005 Barolos are nice wines to drink while you wait for the 2004s to come around. That’s pretty typical of what most journalists I spoke with thought of these wines – very nice, but hardly great and certainly not the equal of the 2004s. Yet here comes Mr. Suckling professing his preference for the 2005s over the 2004s. Why? Basically he writes that the 2005s will offer more pleasure over the next decade. This is arguably true, as the wines are not as deeply concentrated, and thus are more approachable. Yet, Suckling also writes that the 2004s will probably last longer than the 2005s when it comes to cellaring. Think about that! He admits that the 2004s will age longer, yet he prefers the 2005s. So what is he saying here? Basically he is saying that he likes more approachable wines when it comes to Barolo. Is this an accurate portrayal of what Barolo represents? Barolo is one of the world’s greatest reds, in large part, due to its aging potential as well as its ability to offer greater complexities and reveal more flavors as it ages. That’s a rare combination and one that should be prized. You should realize that Suckling is an American living in Tuscany; it’s clear to me that he brings a California palate to Italian wines. He prefers a riper, more forward style of wine; thus a more traditionally made wine that has naturally high acidity with a subdued fruit profile is not something that he rewards with high scores. Winemakers in Piemonte call wines made in the fruit-forward style that Suckling prefers, “California Barolos”, referring for example to the wines from 1997 and 2000, two vintages Suckling lavished with high praise. Whether Suckling’s preference for forward, fruit-driven Italian wines is merely his preference or part of the requirement for any journalist at the Spectator is open to question, but let’s face it, his bias is all too obvious. Thus a classic vintage such as 2001 doesn’t get as high a rating as 2000, which is ridiculous- I don’t know how else to put it. And for 2005 to be rated as a better vintage than 2004 for Barolo, that’s more proof that long-lived Barolos aren’t what Suckling is looking for. That to me is not an honest portrayal of what Barolo is all about. If this wasn’t bad enough, he also wrote a short piece on the 1999 Barolos and Barbarescos in this same issue. He writes that the 1999s were "never destined for greatness.” That did it for me! 1999 is an outstanding vintage as these wines offer excellent concentration as well as beautifully defined acidity, a combination winemakers – and wine drinkers – seek. So why does Suckling believe that the 1999s are not great? According to his thinking, this wines are “lean.” Lean? The 1999s? He writes that they are not as concentrated as those from 1989, 1990, 1996 or 1997. He is arguably correct here, but does the fact that a vintage offers less depth of fruit that another mean it is not as good? What makes a Barolo or any wine great (and let me say here that the word great is overused by too many wine writers) is a combination of fruit, acidity, tannin and above all, balance. Bigger does not necessarily mean better. I have no problem with Suckling prefering the 1989, 1990 or 1996 vintage over 1999 (though I believe 1999 is far superior to 1997, as do many winemakers in Barolo), but to say that the 1999s from Barolo and Barbaresco aren’t great because they are not as intense as other vintages is futher proof of his misunderstanding of balance and structure as key roles in these wines. Callling the 1999s “lean” is like saying a 50-year old man who is 5’10” and weighs 175 pounds is lean. Compared to what, another 50-year old man of the same height who is 250 pounds? Maybe that man is overweight! I’ve said it before and I’ll say it again – if you look to James Suckling for advice on Italian wines, you get what you deserve. Happy 15th Birthday to Carmenère! Or maybe I should say, Happy Discovery Day, for it was 15 years ago – on November 24th, 1994, to be exact - that the Carmenère grape was correctly idenitifed in Chile by the French ampelographer, Jean Michael Boursiquot. Carmenère was brought to Chile from France when phylloxera devastated the vineyards in Bordeaux in the second half of the 1800s. As the grape did not provide a meaningful part of the finest Bordeaux wines, most growers gave up on it when they replanted their vineyards. As Chile had a phylloxera-free environment, Carmenère and several other grapes from Bordeaux were introduced to Chilean soil. However for years, most growers thought the grape was Merlot and treated it as such. Finally, some 15 years ago, the mistake was corrected and since then, there has been greater research conducted with this variety. For a while, it was named Grand Vidure (Carmen in Maipo Valley was one of the first to identify the grape as such), but today all producers label the variety as Carmenère. Given its higher acidity and more pronounced spice than Merlot, it is surprising that Carmenère was incorrectly identified for such a long time. Because of this mistake, the grape was probably planted in some areas that were wrong for the variety. 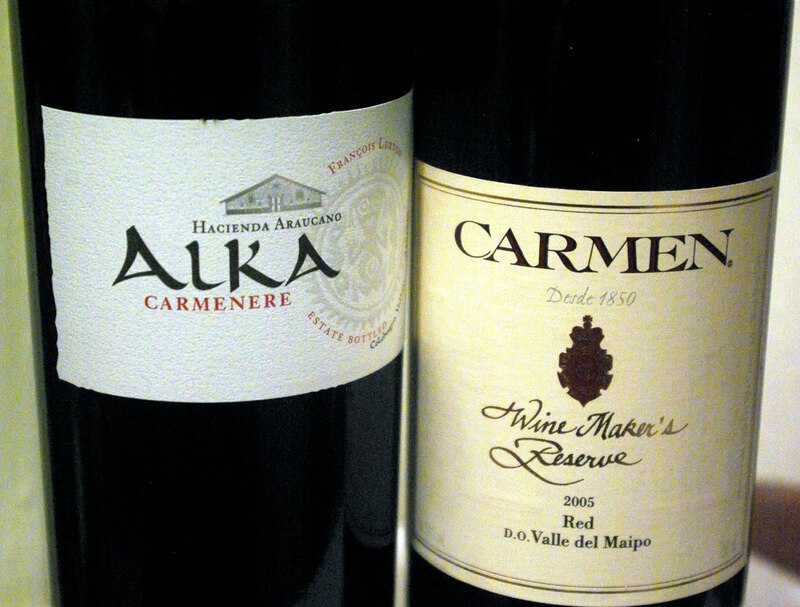 Carmenère needs a warmer climate, as underripe examples are green and overly herbaceous. 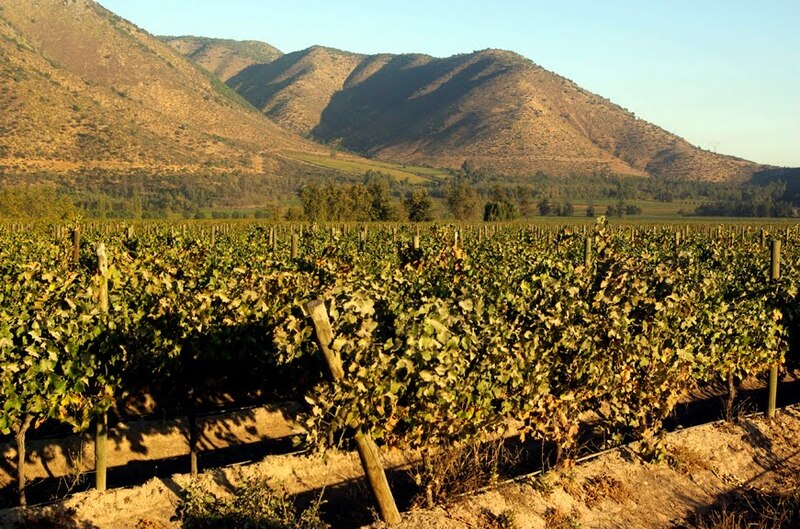 Today many of the finest plantings are from Colchagua Valley and Maipo Valley. Beautiful bright purple with aromas of black plum and notes of black pepper and clove. Medium-bodied, this is tasty with a finish that has elegant tannins and very good persistence. Very nice value for only $13. Bright purple with aromas of black plum, molasses, black licorice and vanilla. Medium-full with very good to excellent concentration. Rich mid-palate, round, elegant tannins and wonderful varietal character. Best over the next 5-7 years. Excellent value at $20 (and perhaps less in some markets). 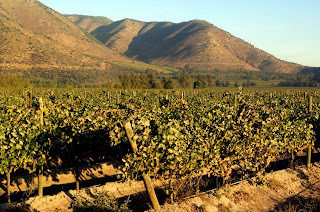 I love the wines of Chile and I’ve done my share of writing about the qualities of this country’s efforts, especially with the vibrant white wines of San Antonio and Leyda as well as the gorgeous reds from Maipo and Colchagua Valleys. These wines represent the upper tier of Chile’s wines and frankly are not as well-known as they should be. 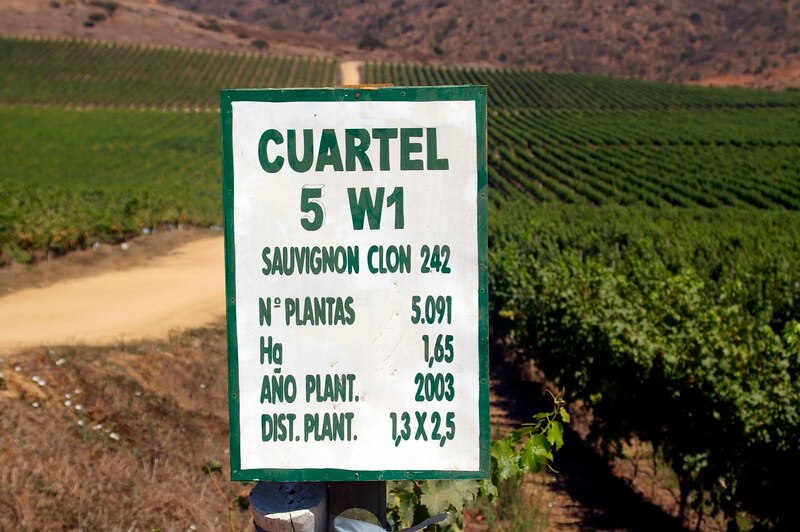 What everyone knows about Chile are the moderately priced wines that are well made and offer fine values. While I don’t want to perpetuate a myth that Chile only produces these values offerings, well, I don’t want to dismiss these wines either, especially today, when so many people have to save money to make it through difficult times. So here is a brief list of some notable values from Chile. 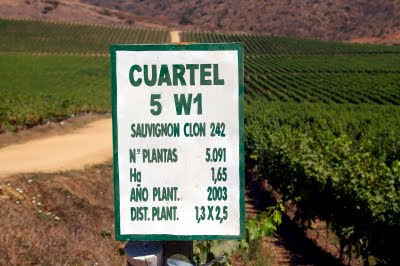 Close by the Pacific Ocean, San Antonio Valley and the sub-zone Leyda Valley have become the home of some amazing examples of Sauvignon Blanc. Here is one of the finest values from this area; a wine that offers aromas of grapefruit and Anjou pear, has good richness along with lively acidity and textbook varietal flavors. A great match for shrimp and clams, this is a great way to discover the characteristics of Sauvignon Blanc from Leyda Valley and is an amazing value at $12! I can’t imagine a better example of Sauvignon Blanc for the price from anywhere in the world. Here is an excellent blended red from Colchagua Valley, home to so many flavorful, bold offerings. A mix of 50% Cabernet Sauvignon, 30% Carmenere, 15% Cabernet Franc and 5% Petit Verdot, this has plenty of red cherry and currant fruit along with notes of red pepper. Medium-bodied with tart acidity, this has moderate tannins and a clean, round finish. A fine match for most red meats or stews over the next 2-3 years. A steal at $12! At $23, this is priced higher than some consumers want to spend for a value wine, but to me that word is relative; this is a wonderful value. Deep ruby red, this has perfectly ripe black currant fruit with notes of menthol and subtle oak. The tannins are refined and ultra smooth, giving this wine a graceful and elegant finish. This has ideal strucure for aging another 5-7 years (or perhaps even longer). While filet is a natural match, I love this with roast duck, especially with the big fruit flavors of this wine. Mouthfilling and delicious, this is a great success and proof that a cool climate such as Limarí can be an ideal zone for Cabernet Sauvignon. 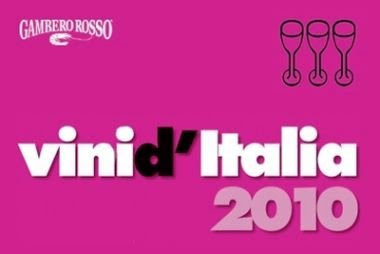 The 2010 guide from Gambero Rosso has been out for a few weeks now and I wanted to discuss their latest look at the top Italian wines of the year. While this admittedly is a far more important publication in Italy, there are many wine buyers and Italian wine fans in this country that look to this guide as a barometer of the finest bottlings from Italy. I am not writing this to take them to fault with any one particular wine; that is an exercise in futility. If you like a wine and I don’t, it’s not a matter of one of us being wrong or right. Rather we can agree to disagree on a wine. It’s the same with Gambero Rosso, especially as they prefer riper, oakier wines more often than I do. But that’s the nature of the beast – you take them at face value. I may not like a particular Brunello, Barolo or Amarone that GR favors due to its style (and style is a large part of why any of us like a wine, whether we admit it or not), but at least if Gambero Rosso gives a wine its top award of Tre Bicchieri (three glasses), I want to know the wine is worthy of that honor. 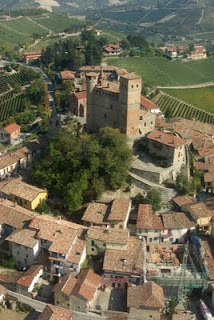 Thus I have a problem with the 2010 guide awarding their highest rating to 33 examples of Barolo from the 2005 vintage. 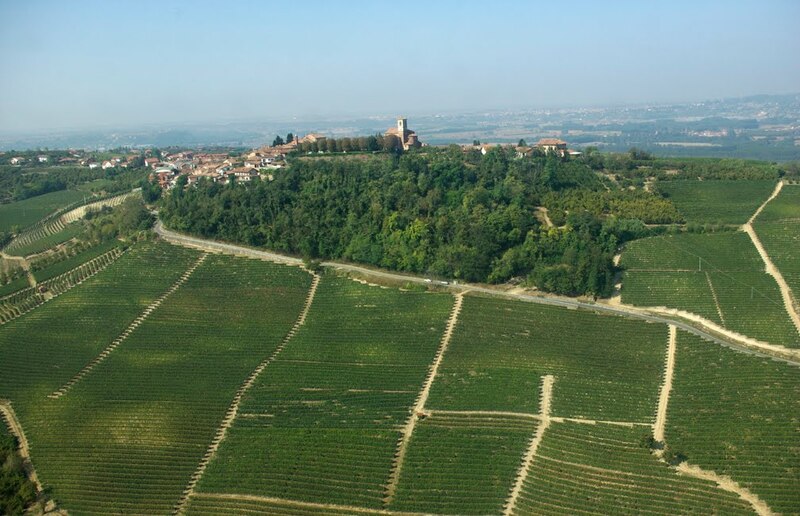 Barolo is certainly one of the two or three most exemplary red wines of Italy, but that doesn’t mean it’s great in every vintage and 2005 is proof of that. I tasted more than 150 examples this past May at the Alba Wines Exhibition, a first-rate event for journalists from around the world that I attend every year. Of the 150, I found four (that’s F-O-U-R) wines that I thought were of the highest quality. Now granted, there are some famous bottlings I did not try then, so perhaps there are a few more examples I might have rated as outstanding. But it’s hard for me to believe that there are 30 Barolos from 2005 that are exceptional, as Gambero Rosso would have us believe. As I said previously, I want to know a wine is worthy of that honor and I don’t believe 2005 was the type of vintage that yielded greatness. Perhaps Gambero Rosso has a quota for awarding a certain number of Barolos with Tre Bicchieri. How elese do you explain that last year (in the 2009 guide) they awarded 31 bottlings of 2004 Barolo with this award? Add in three additional 2004 Barolos given the award this year (these three wines were released later than most examples from 2004) and you have basically the same number of 2004 Barolos getting the top award as those from 2005. This is quite remarkable and in reality, quite a strange ranking of Barolo. I do like the 2005 Barolos very much (see my tasting notes on several dozen of these wines at the vinowire blog), but the vintage doesn’t come close to 2004. That was an outstanding vintage, as the wines were more deeply concentrated, with more pronounced aromatics and greater complexity. Quite simply, it’s a bit ridiculous to award as many Barolos from 2005 as highly as their counterparts from 2004. How else can you explain this except to think there is an allocation each year in the guide for a certain number of Barolos? I do want to point out that there are some very good Tre Bicchieri awards this year, especially to some wines that don’t get anywhere near the attention given to Barolo or Brunello. The 2007 Etna Rosso “Musmeci” from Tenuta di Fessina was honored with the top award and it’s nice to see this recognition for this new company. I visited the vineyards this past March and tasted the new releases and was thoroughly impressed. The “Musmeci” is a lovely, supple Etna red made from 80 year old vines; the morel cherry and red floral aromas are gorgeous and the wine is quite velvety. This is NOT a wine that favors power over elegance, so nice work by GR in recognizing this wine with their top honor. Also, nice of GR to recognize Villa Monteleone with the award for their 2005 Amarone. Monteleone is managed by Lucia Raimondi, who has been responsible for everyday operations since the death of her husband a few years back. Her wines are as gentle as she is – she is such a lovely person and how nice that all of her hard work has paid off. This is an Amarone of suppleness; it’s nice to see another producer depart from the ultra ripe, oaky approach taken with too many examples of Amarone these days. By the way, if you like the Villa Monteleone Amarone, I think you’d love their Ripasso bottling labeled “Campo San Vito”; I think it’s a better wine than the Amarone. 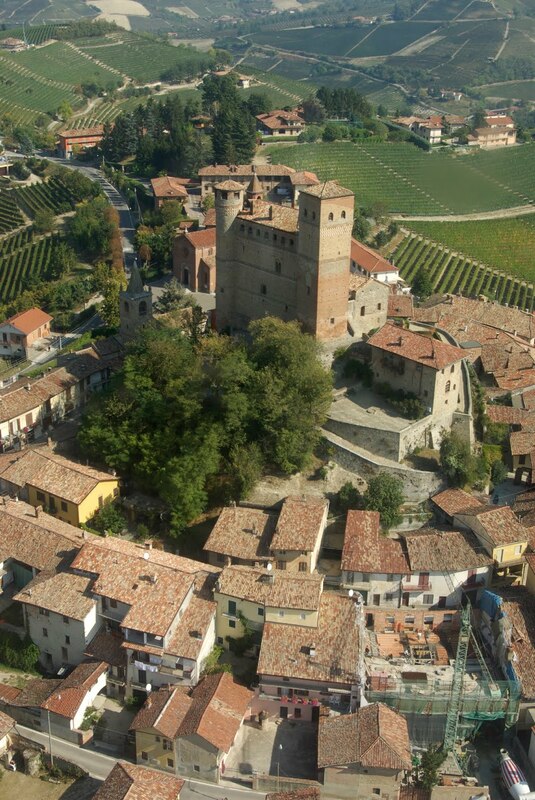 Finally, congratulations to the superb Soave producer Ca’Rugate for two Tre Bicchieri awards, one for their 2008 “Monte Fiorentine” bottling (a wonderfully rich no-oak Soave Classico that is simply delicious) and for their 2007 Recioto di Soave “La Perlara”. For several years, Ca’Rugate has been one of the very best producers of Recioto di Soave (only Pieropan can match their consistency with this product, in my opinion) and it’s about time that GR gave them this award. In fact, I believe this is the very first time GR has given a Recioto di Soave their top rating. If you haven’t tried a Recioto di Soave, you will love this lush, lightly sweet dessert wine with a delicate nuttiness – it’s quite rich and it ages for a long time. Congratulations to winemaker Michele Tessari and the rest of his family for their work with these two wines and their entire lineup. Ca’Rugate is a great Italian winery and how nice that Gambero Rosso has noticed that (for several years now, I must add) as well!